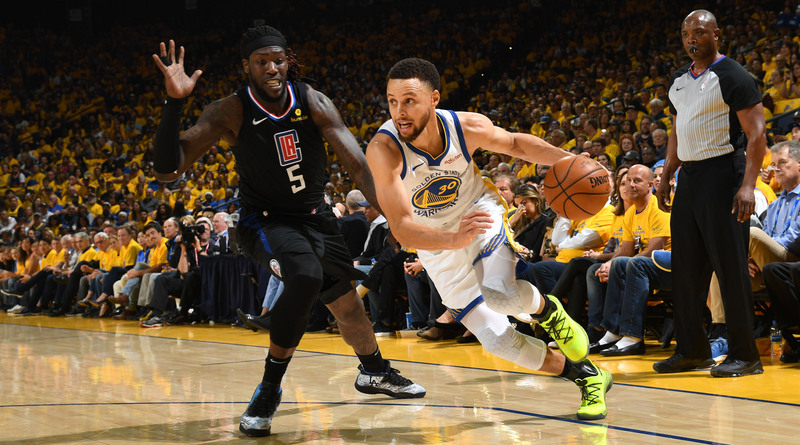 The Clippers experienced the full force of the Warriors, with Stephen Curry dialed in from three as he led Golden State to a 121–104 win in Game 1 of their first-round series. OAKLAND, Calif.—When the regular season was said and done, the us-against-the-world Clippers drew the best the world had to offer as their playoff opponent. The arrangement was a bit of cruelty from the basketball gods; after grinding their way to 48 wins and a postseason berth without a single All-Star on their roster, the Clippers would be forced to reckon with the most talent-rich team in the league. So spoiled are the defending champions that their offense can literally oscillate from one MVP to another. One of the best passing bigs in the league orchestrates the action, and one of the best shooters in the world waits in the wings. If all else fails, Golden State can always throw the ball to DeMarcus Cousins, who averaged better than 22 points a game for five straight years before joining the Warriors at a discount. In Game 1 of their series, that checklist proved overwhelming. Lou Williams (25 points, nine assists) and Montrezl Harrell (26 points) set personal playoff career-highs for L.A. and still the Clippers lost, 121–104, to a team that makes so much look so easy. Golden State turned the ball over 21 times. DeMarcus Cousins fouled out in what was his postseason debut, and Klay Thompson, who took just two shots in the entire first half, was party to the offense though not much involved in it. None of that mattered—not when the Warriors can end a quarter on an 18–5 run, and not when Stephen Curry can walk into 38 points by way of eight three-pointers (to say nothing of his six assists and 15 rebounds). “Shout out to the contacts,” Curry said postgame, commending the new prescription that brought the best shooter in the world new clarity. What is a team to do? At one point, the Clippers asked rookie Shai Gilgeous-Alexander to track Curry, gave up eight inches by pitting Patrick Beverley against Kevin Durant, and, with little alternative, attempted to “hide” Williams on Thompson. There is no way through this series but to accept deficits at every turn. “I thought we came to play,” Rivers said. “I thought we played hard.” Unfortunately, playing hard—a Clippers standard—couldn’t budge their meager margin for error. Theirs is a frustrating position. After playing the Warriors to a draw in the better part of two quarters, the Clippers felt their footing slip when a series of calls (and non-calls) didn’t go their way. This is an unavoidable part of basketball, but against Golden State, it becomes an affront—the kind of indignity that sends an underdog howling. “Those things kind of swing the momentum of the game, and when you’re playing a team like that, it makes a world of difference,” Williams said. What starts with a fair objection leads to a spiral. Suddenly, the deck looks stacked. Every call feels unfair. Every mistake infuriates. Teammates fume, and the bloodthirsty fans at Oracle only stoke their building resentments. A run can become something more. The Clippers are not helpless, though they are woefully outmatched. 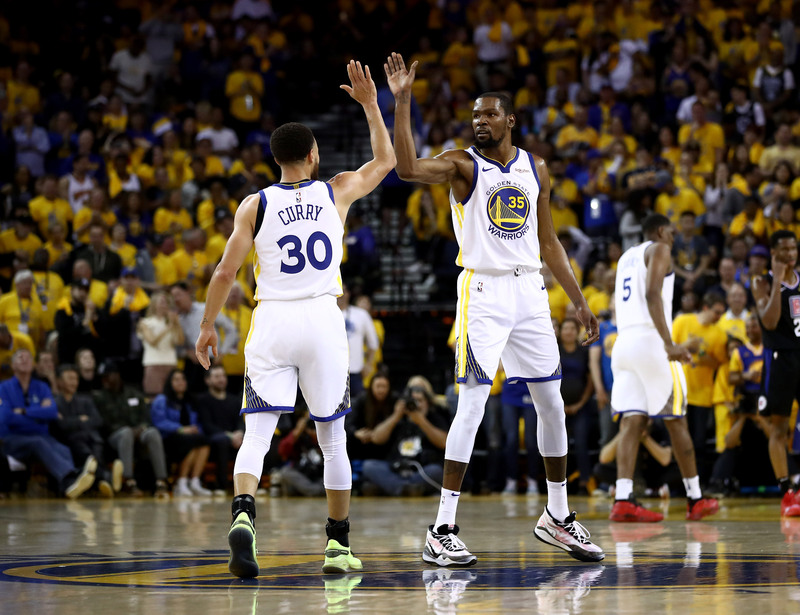 Their best hope in this series fell away when the Warriors took them seriously; from L.A.’s perspective, the most concerning omen of Game 1 could be that Andre Iguodala, the Warriors’ resident cynic, launched into the start of a series between the first seed and eighth seed as if it were a swing game in the NBA Finals. An energized Iguodala is the surest sign of spring. The playoffs have officially begun, and the Warriors—after failing to muster much enthusiasm for the regular season—are playing games that matter again. With that comes the discomfort of wrangling Curry for an entire series. The Clippers’ first attempt went bust. While it’s good defensive practice to play well off of Cousins and Draymond Green on the perimeter, daring them to shoot, doing so leaves the man defending Curry at the mercy of Golden State’s screeners. Any kind of contact could set Curry free, and even a scramble in response leaves the defense strained and vulnerable elsewhere. This is the bind that Curry creates. Many of the tactics that help team defenses stay solid and apply pressure can so easily be turned against them. Even the notion of guarding him honestly becomes a vulnerability when Curry can make a defender bite on a hesitation move 30 feet from the basket. As of today, the 31-year-old Curry is already the NBA’s all-time leader in playoff threes. If the riddle could be solved, it would be. “It was just another night at the office for him,” Durant said. And with that punch of the clock, the Clippers moved ever closer to their season’s end.